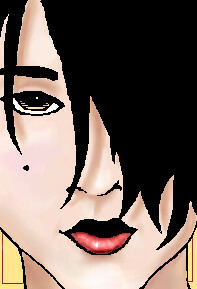 2draw.net - boards - Beginner - Stare. Craptasm. But she has nice lips. And a mole. I like her eye. If you thing down the face a little, this'd be really really nice. ...I'll color it. ~__~ Unless you want it to stay high contrasty. I like this, it's very good and the coloring was done well.